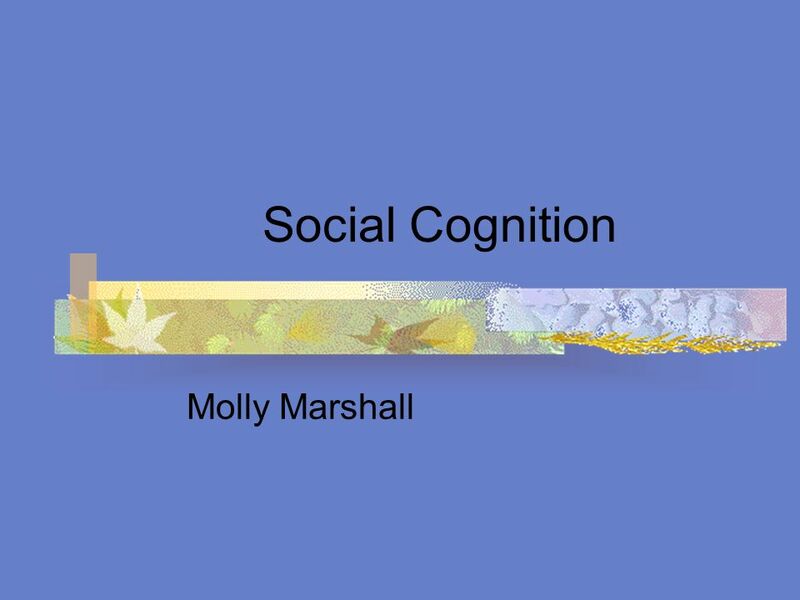 Social Cognition Molly Marshall. 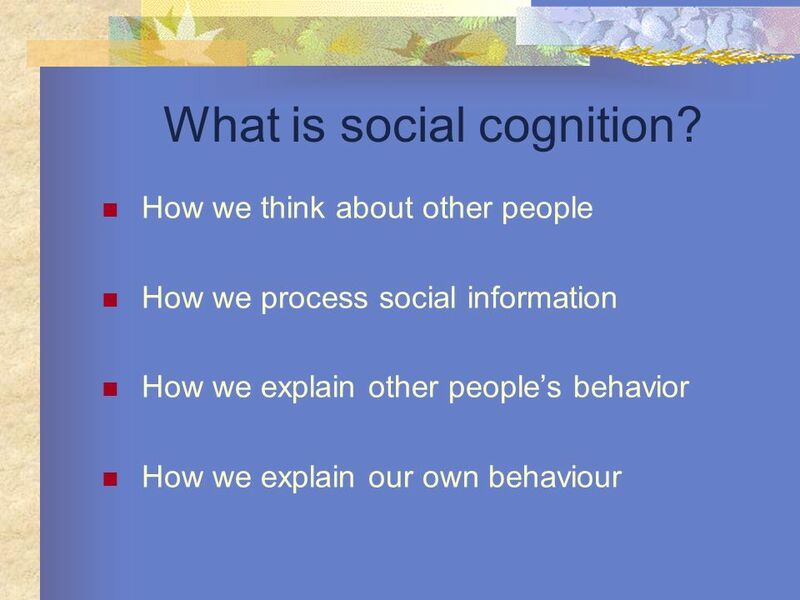 What is social cognition? 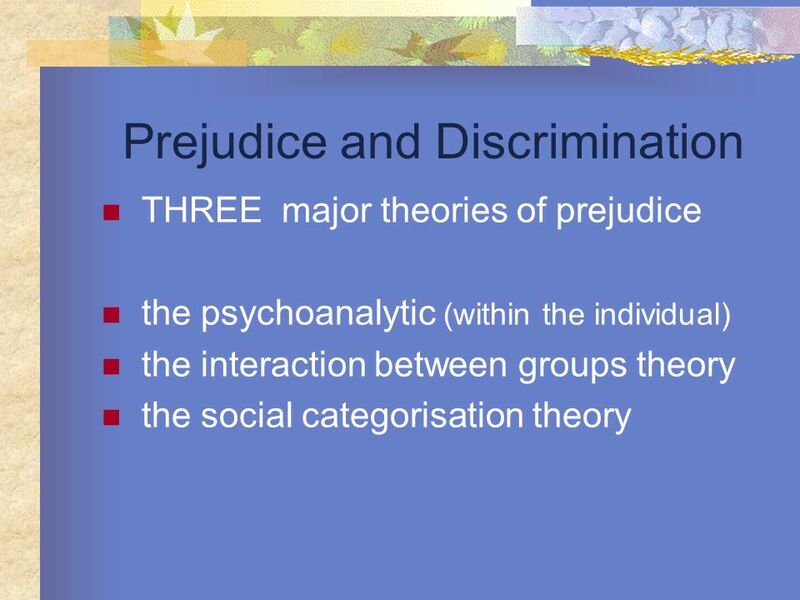 How we think about other people How we process social information How we explain other peoples. 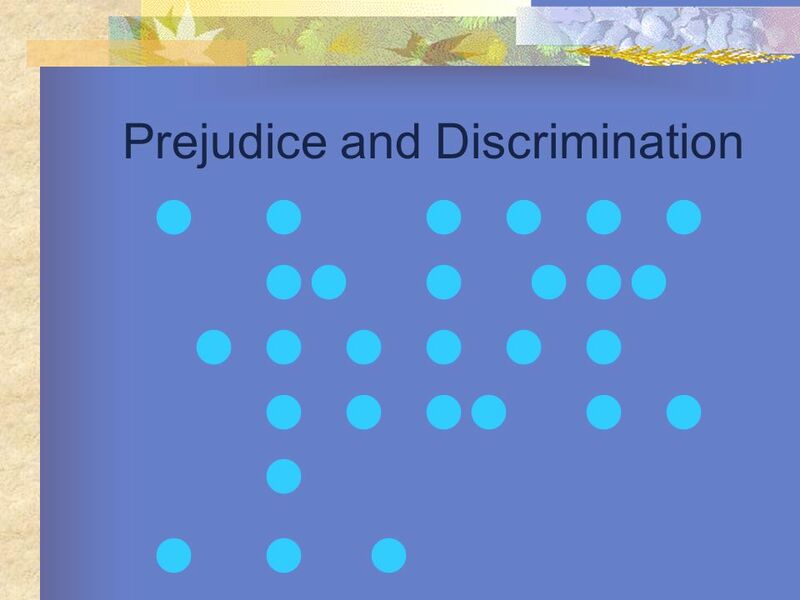 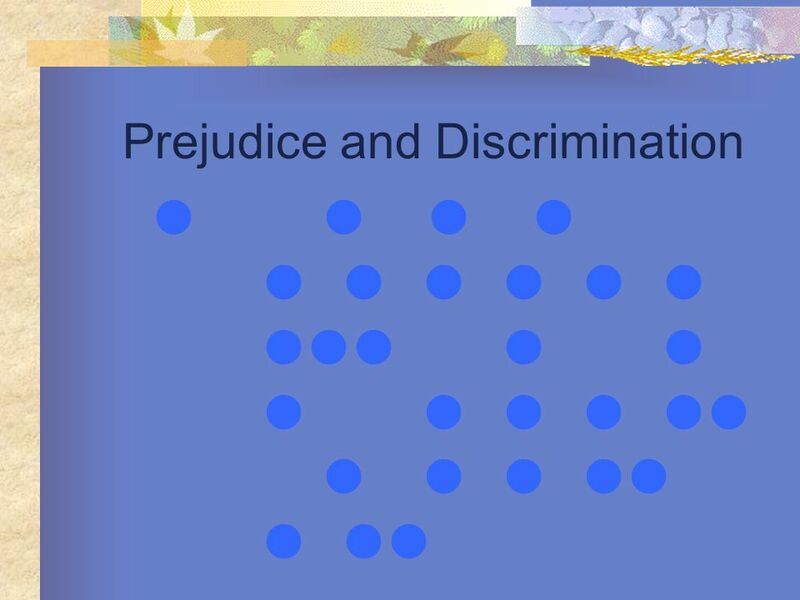 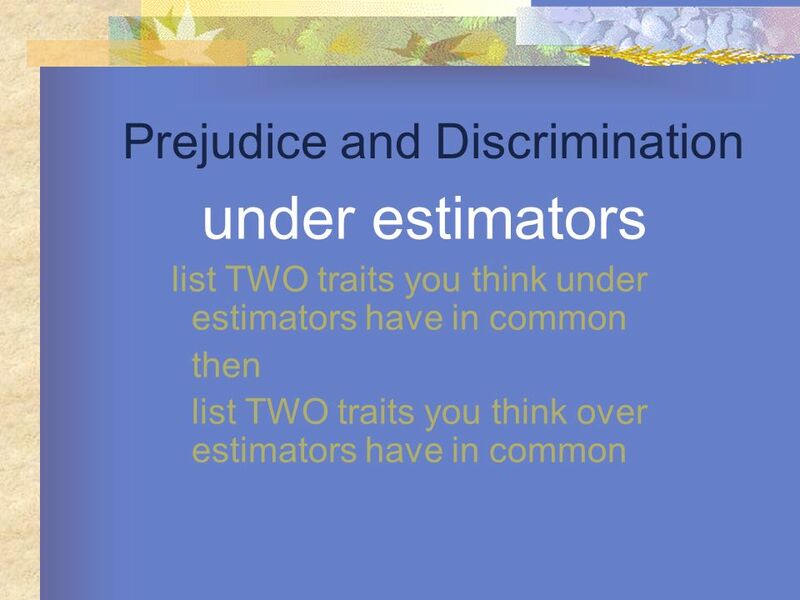 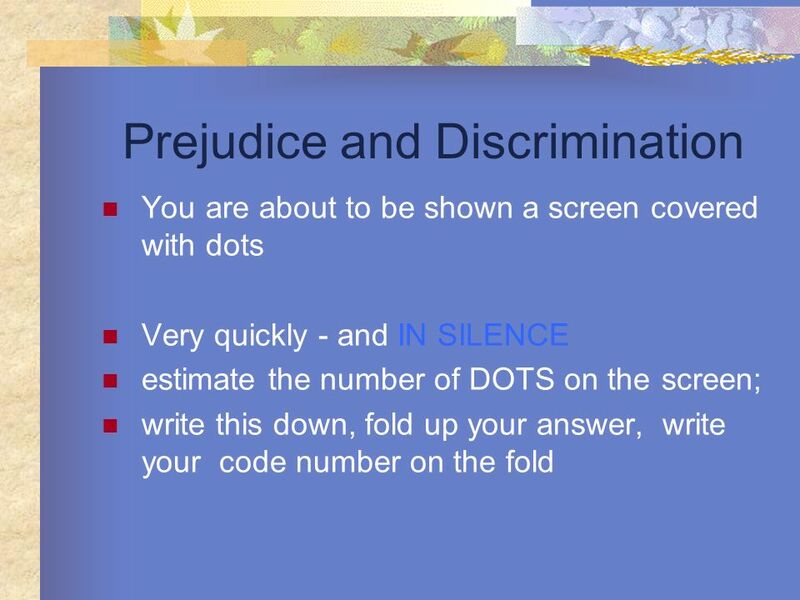 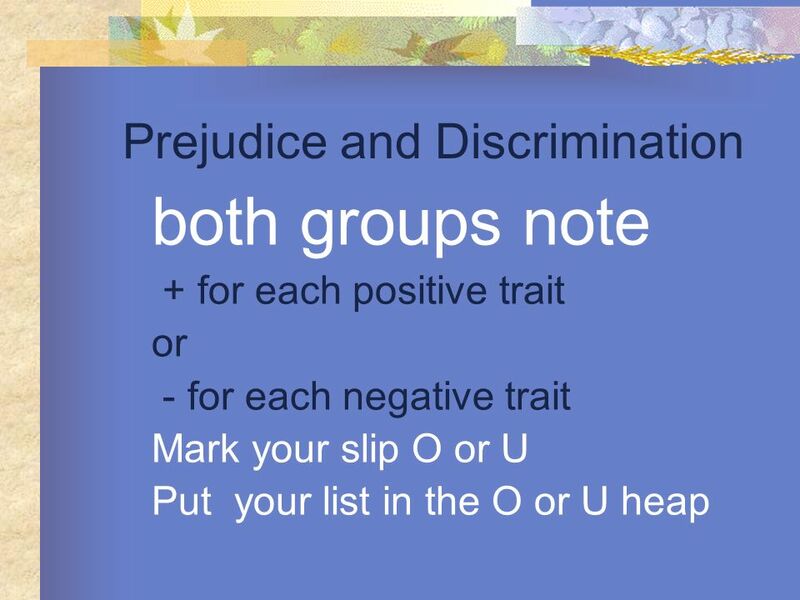 12 Prejudice and Discrimination Now let us do a VERY small experiment YOU will learn more about this in a minute You are all allocated a code number please memorise it!! 18 Prejudice and Discrimination Sorting it all out ! 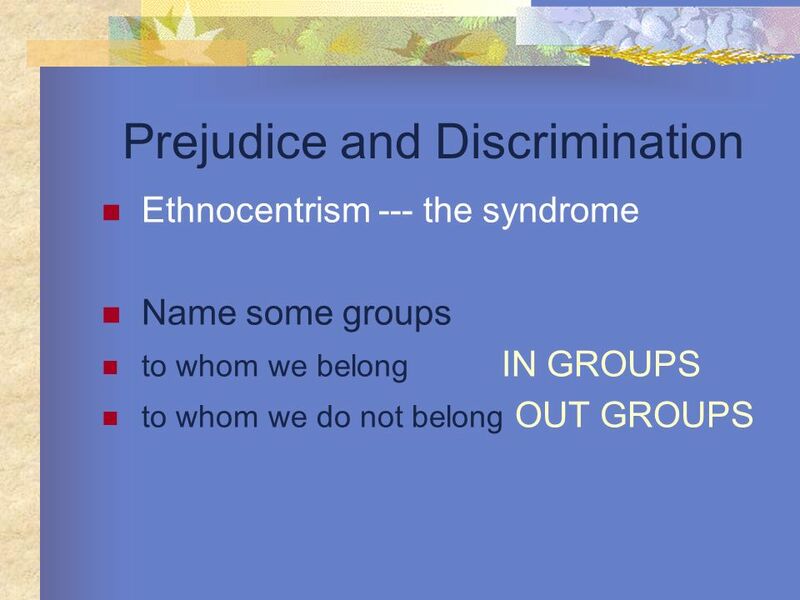 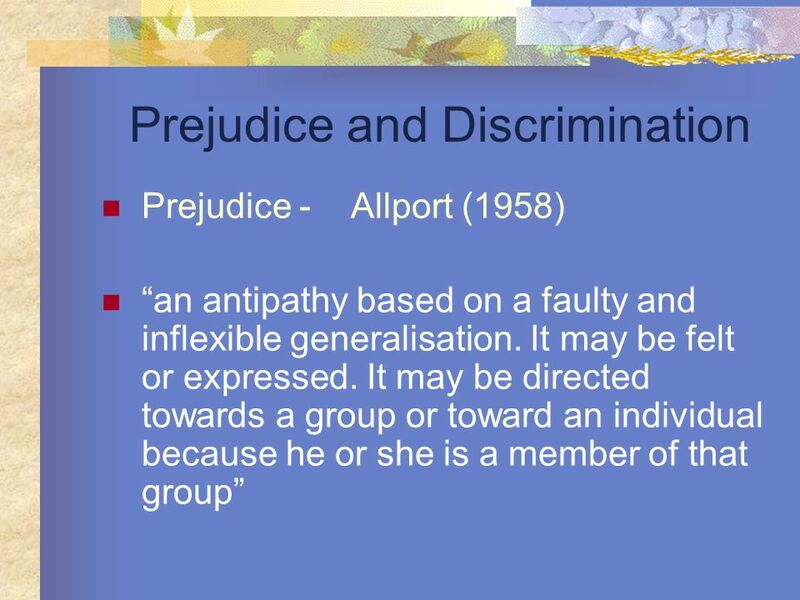 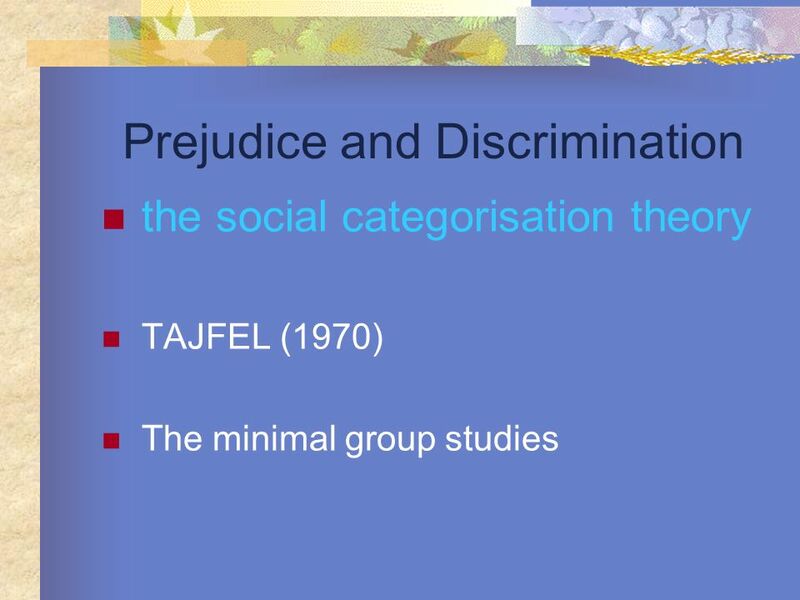 24 Prejudice and Discrimination the social categorisation theory TAJFEL (1970) What does it take to make you believe you are a member of a group? 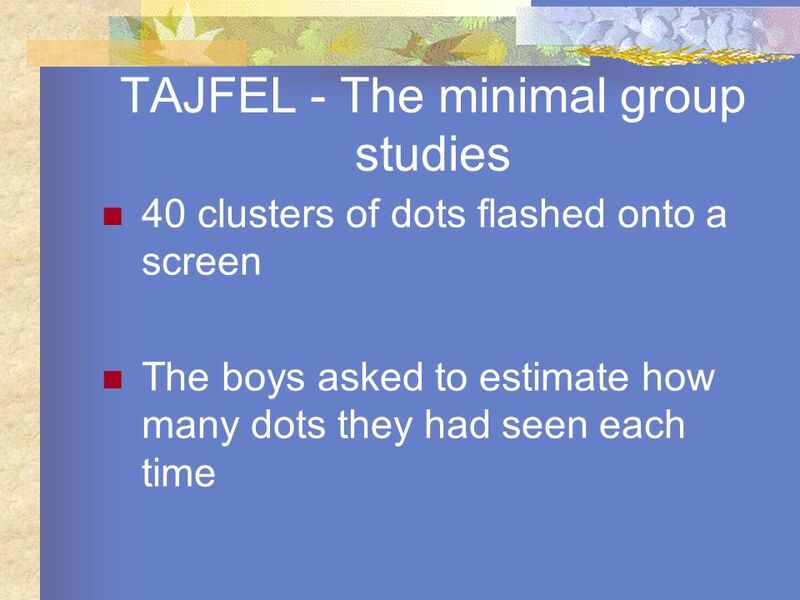 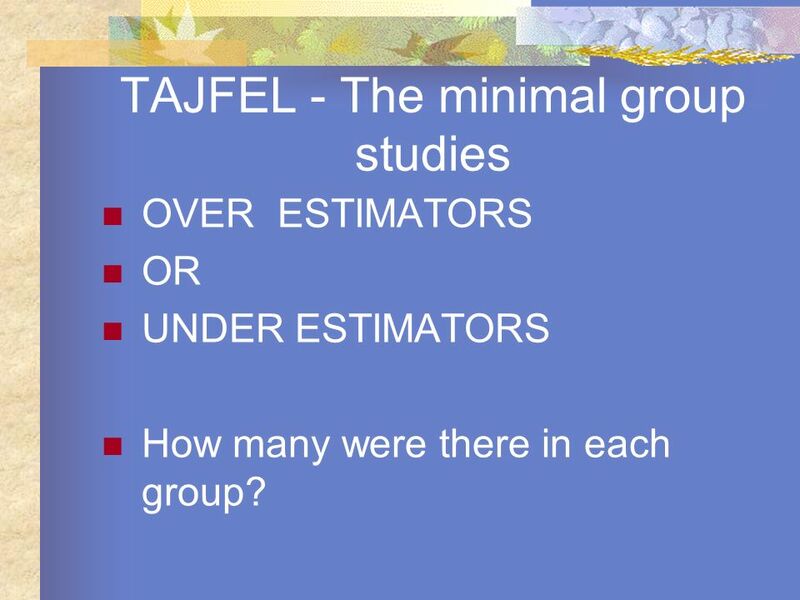 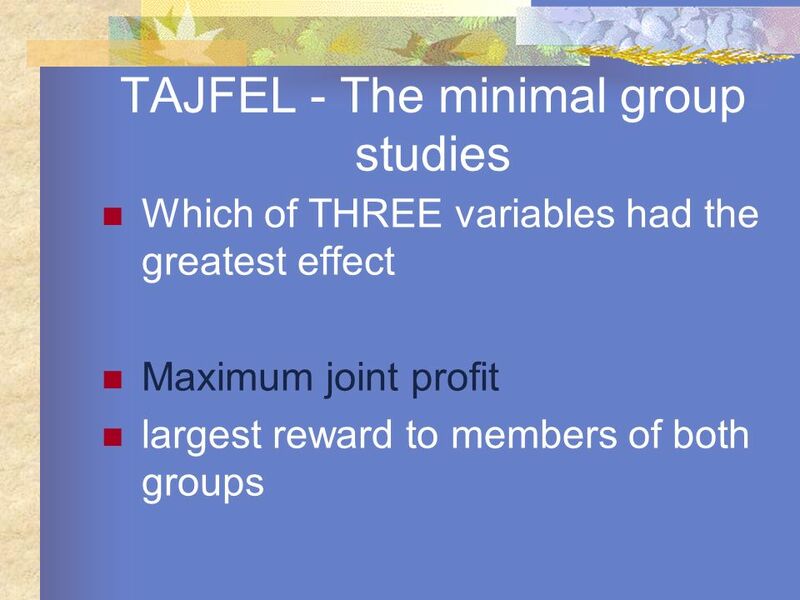 31 TAJFEL - The minimal group studies OVER ESTIMATORS OR UNDER ESTIMATORS How many were there in each group? 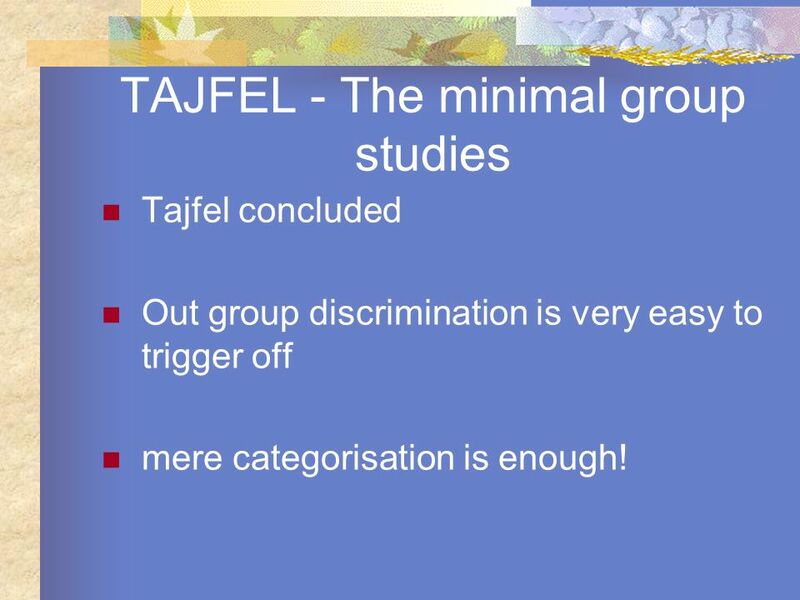 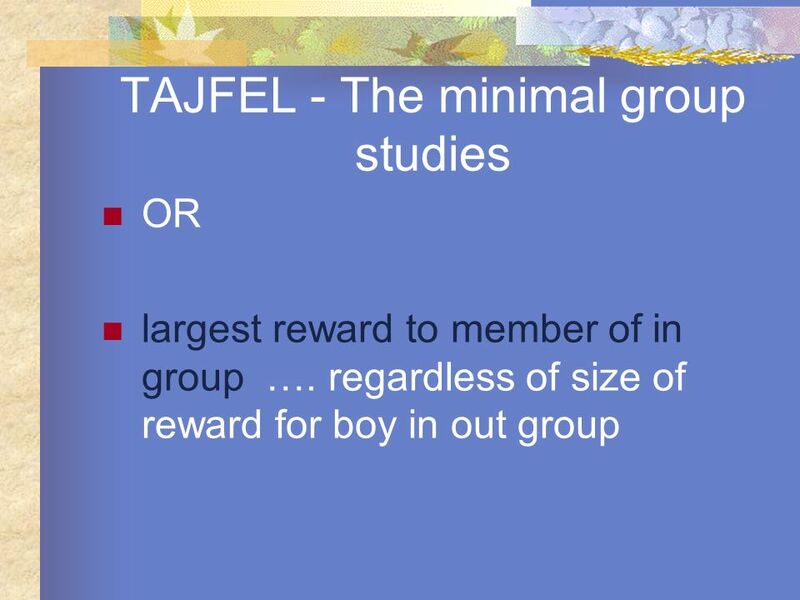 47 TAJFEL - The minimal group studies Tajfel concluded Out group discrimination is very easy to trigger off mere categorisation is enough! 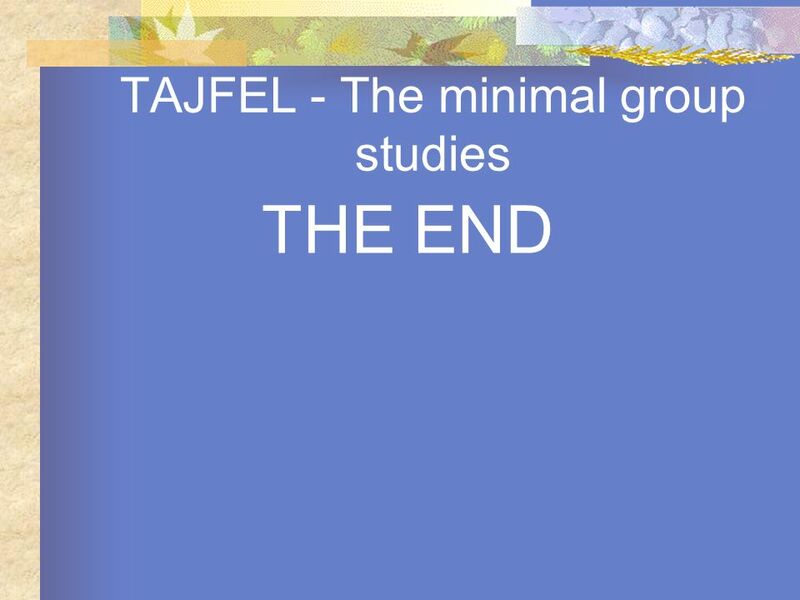 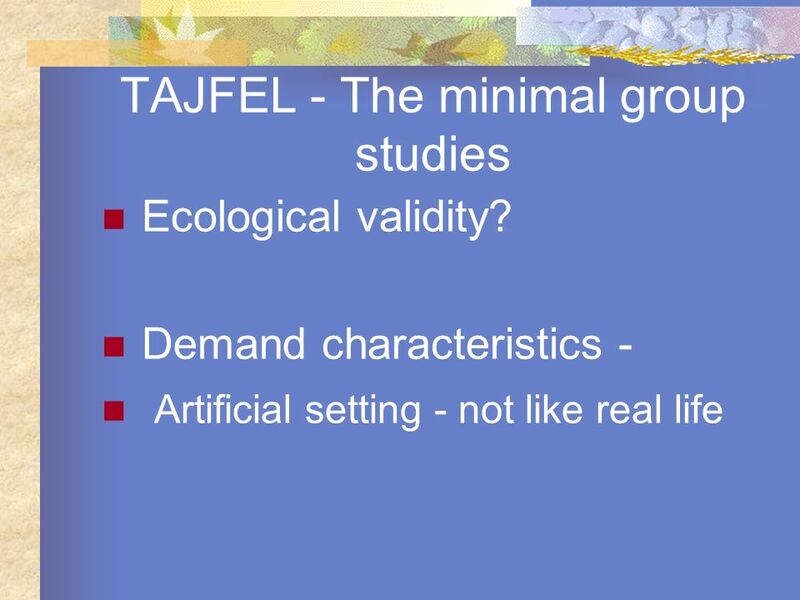 50 TAJFEL - The minimal group studies Ethics !! No informed consent Right to withdraw? 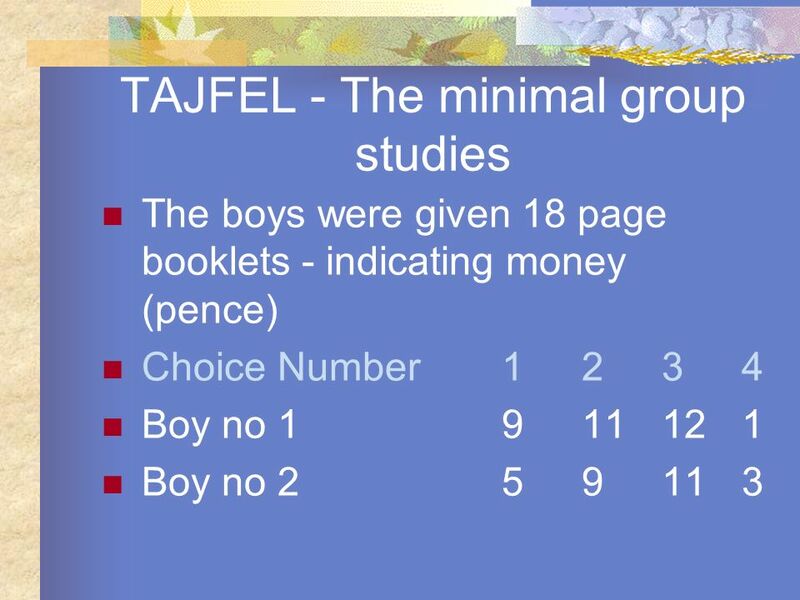 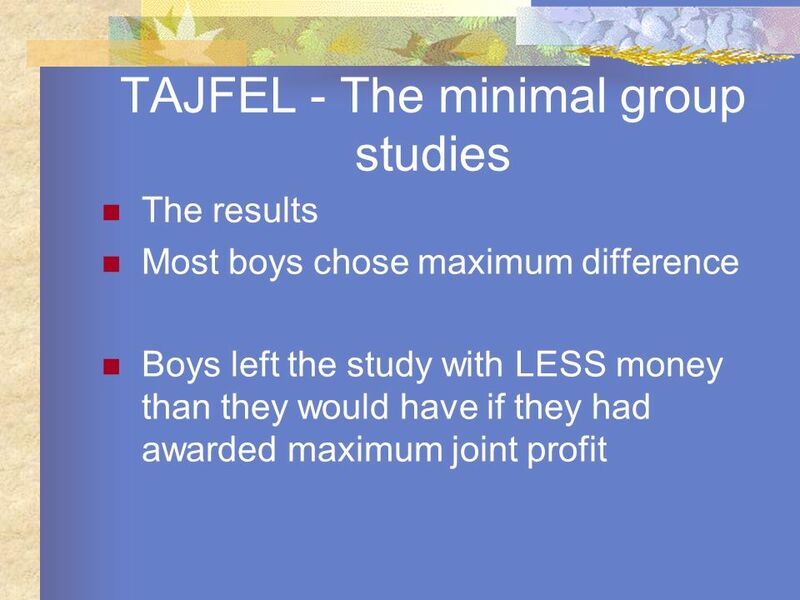 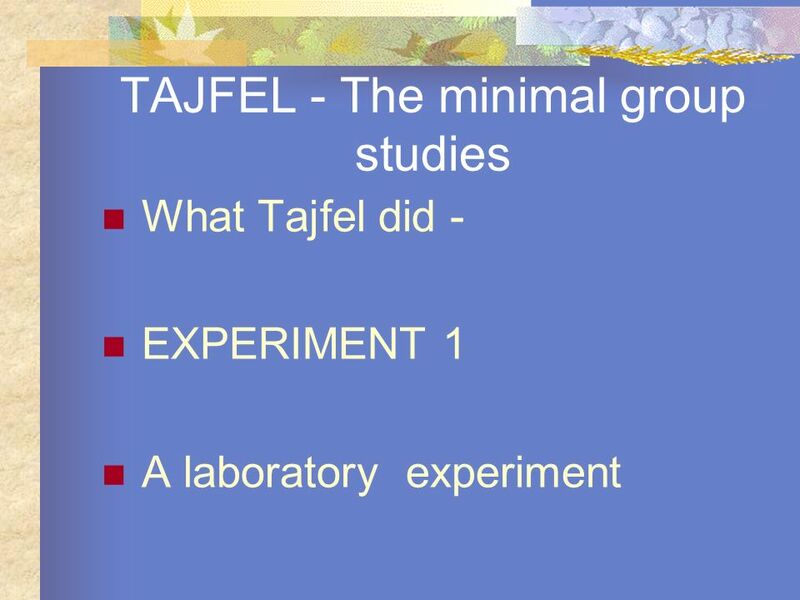 51 TAJFEL - The minimal group studies How did our experiment go! 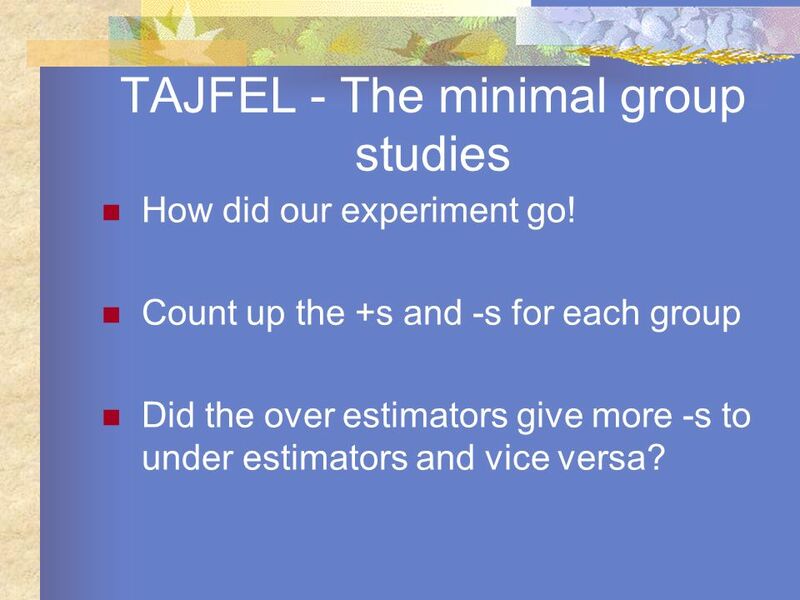 Count up the +s and -s for each group Did the over estimators give more -s to under estimators and vice versa? 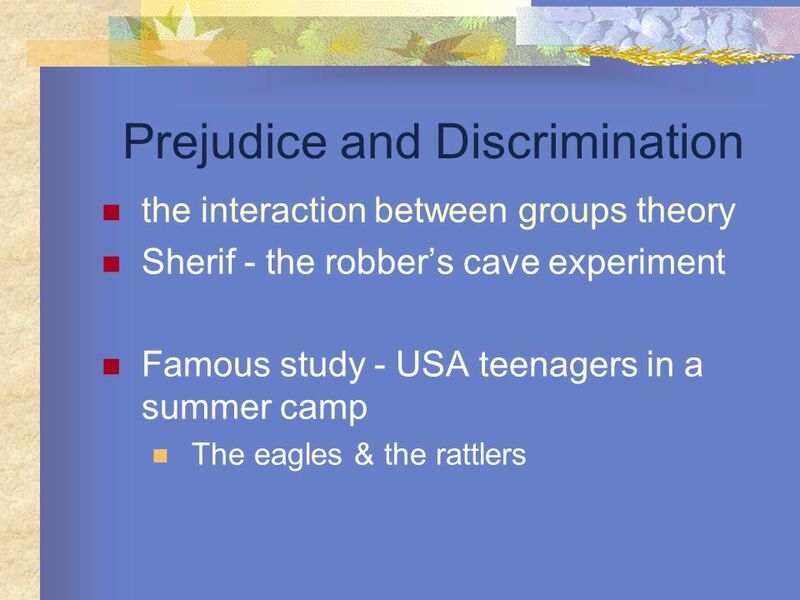 Download ppt "Social Cognition Molly Marshall. 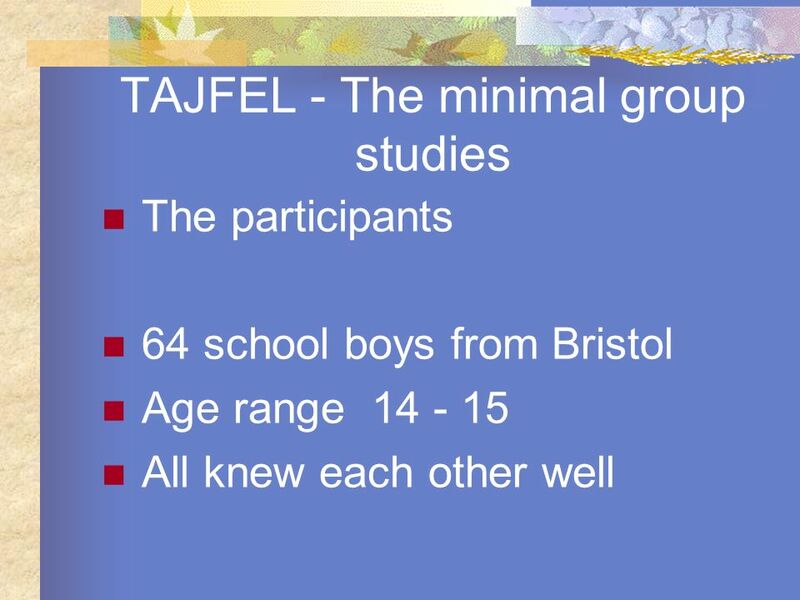 What is social cognition? 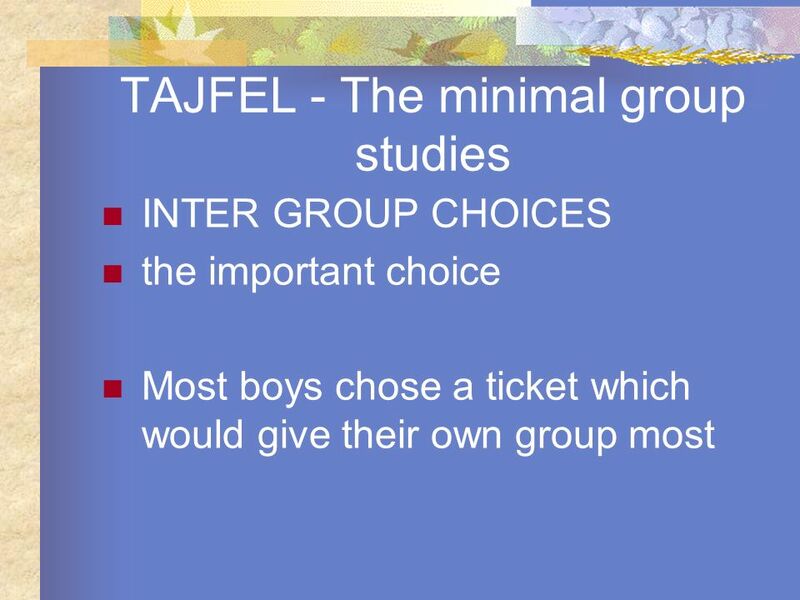 How we think about other people How we process social information How we explain other peoples." 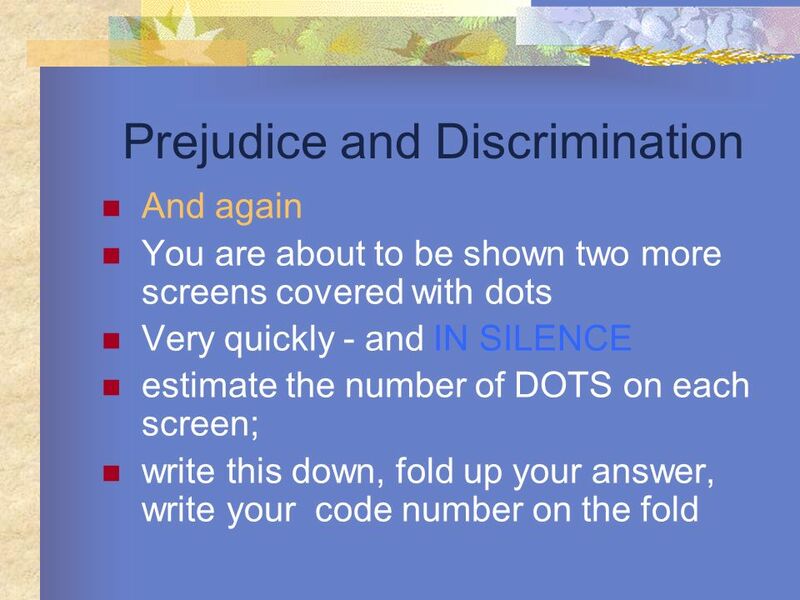 The Internal Assessment Your turn to experiment!. 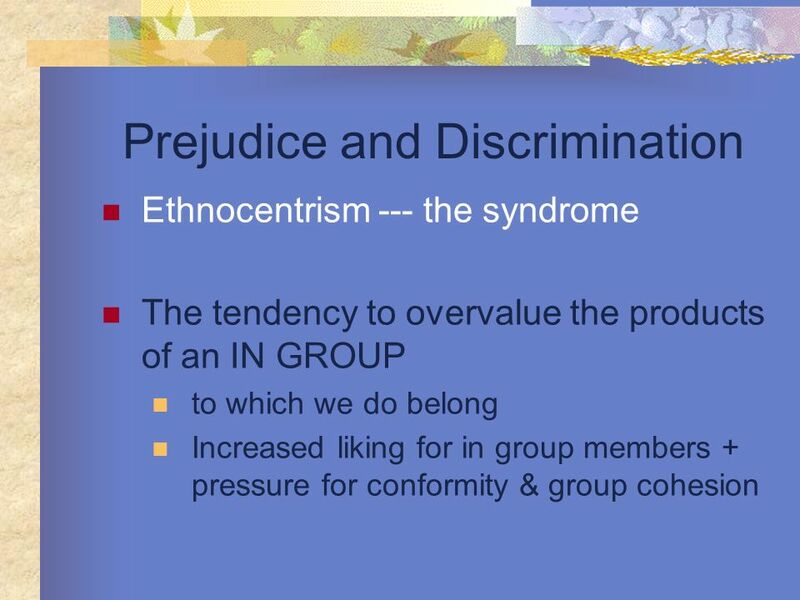 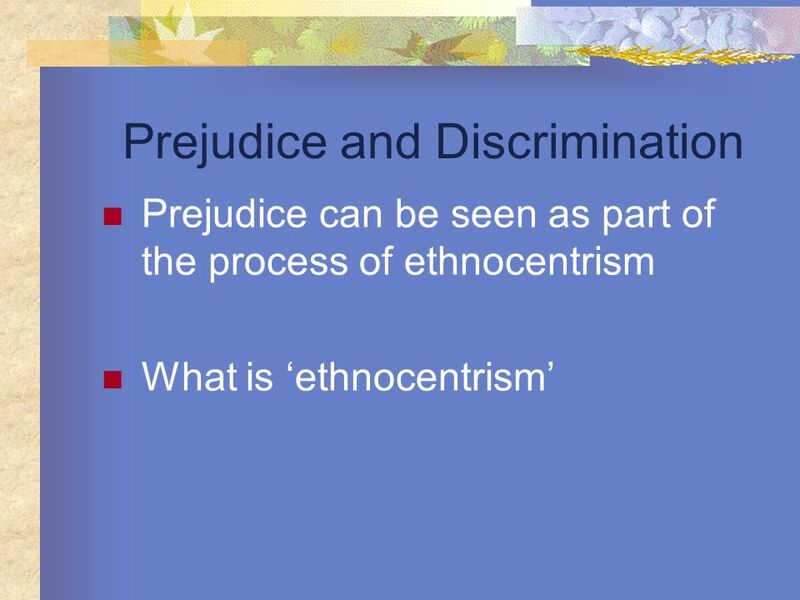 Sociocultural Level of Analysis Studying the way people relate to others. Attitude Attraction Aggression Group Behavior. 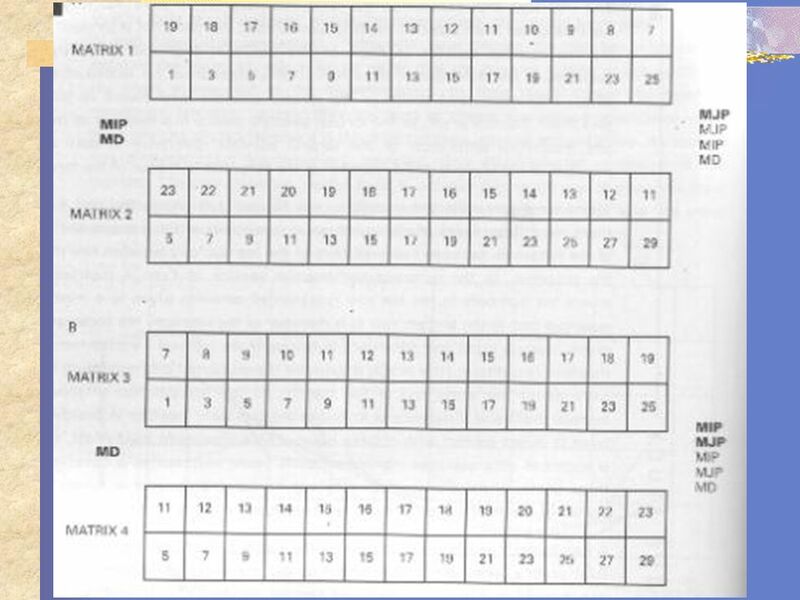 LOFTUS & PALMER (1974) Starter: Here is an introduction to Loftus & Palmer (1974)…what information is missing…  Loftus carried out an experiment where. 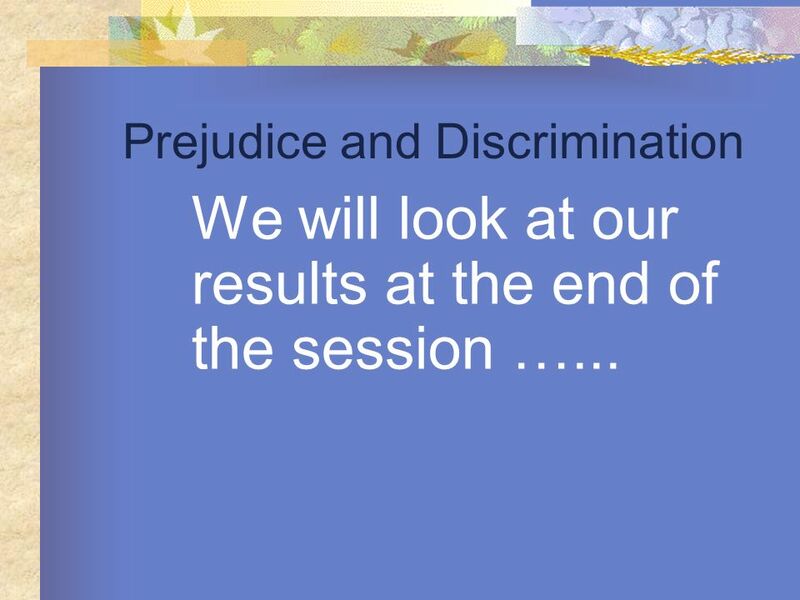 Feedback on Psychological Investigations First Mock Exam. 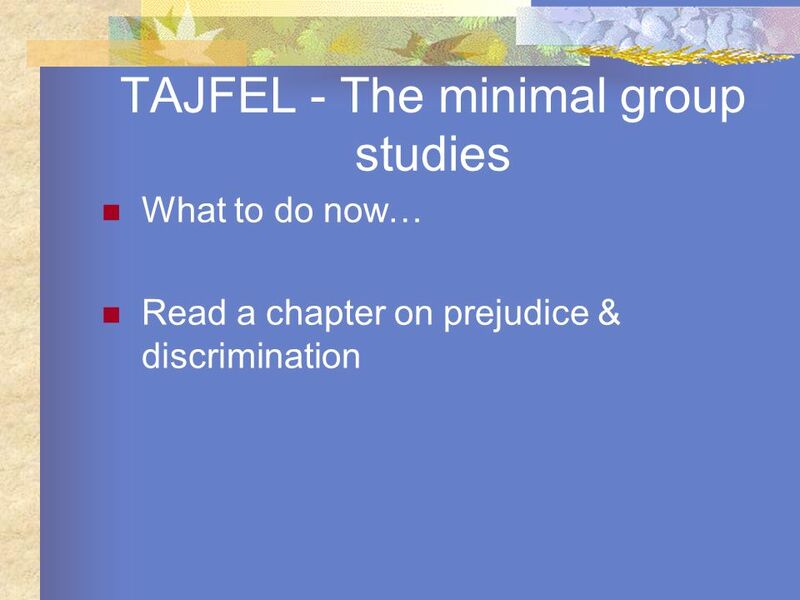 “This presentation contains copyrighted material under the educational fair use exemption to the U.S. copyright law” Tajfel Discrimination Study AICE AS. 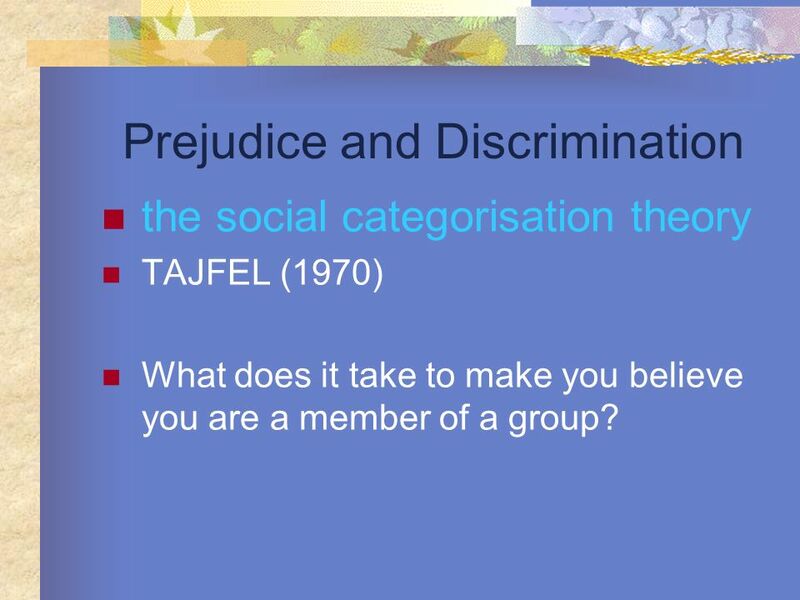 Social Psychology Lecture 12 Inter-group relations Jane Clarbour Room: PS/B007 jc129. 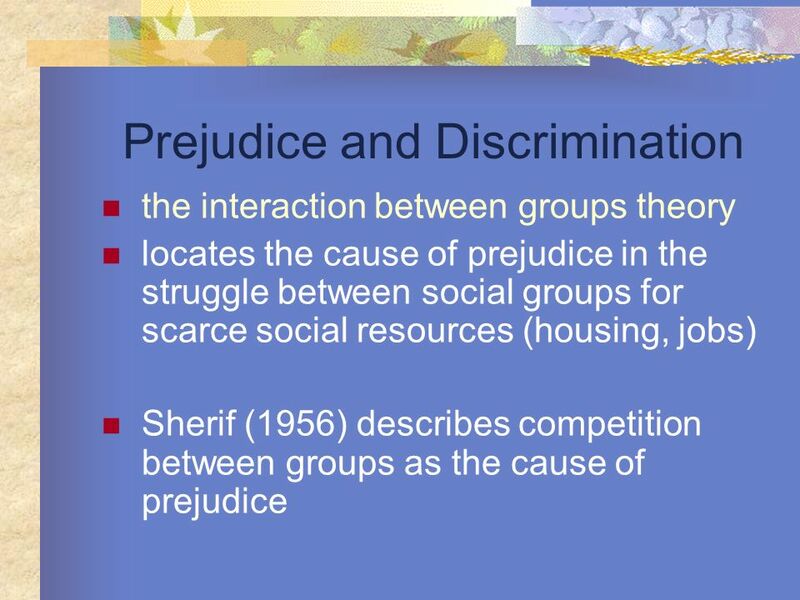 Soc 319: Sociological Approaches to Social Psych Intergroup Conflict April 14, 2009. 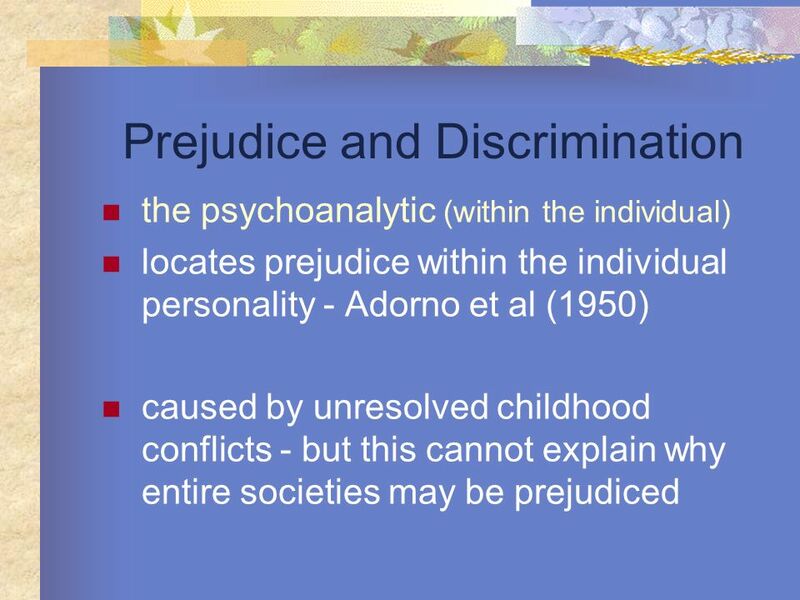 Psychology The usefulness of psychological research. 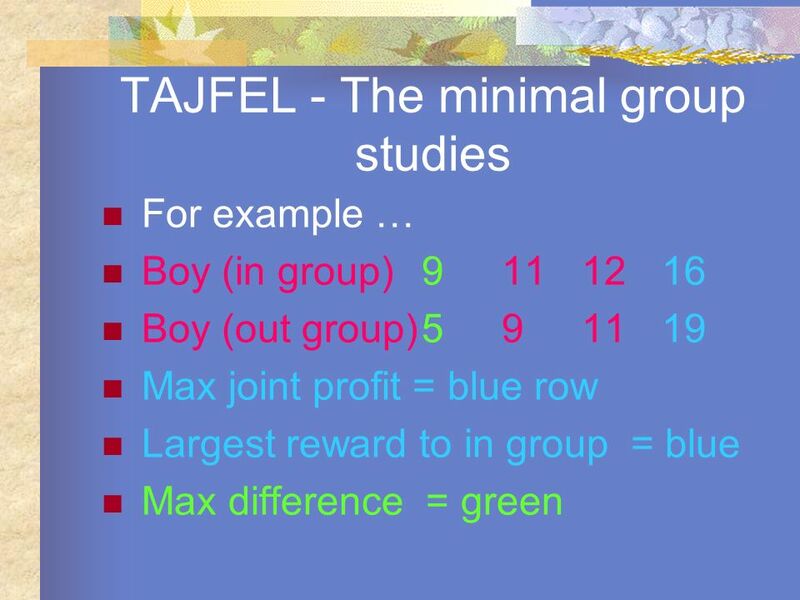 Research and Statistics AP Psychology. Questions: ► Why do scientists conduct research? 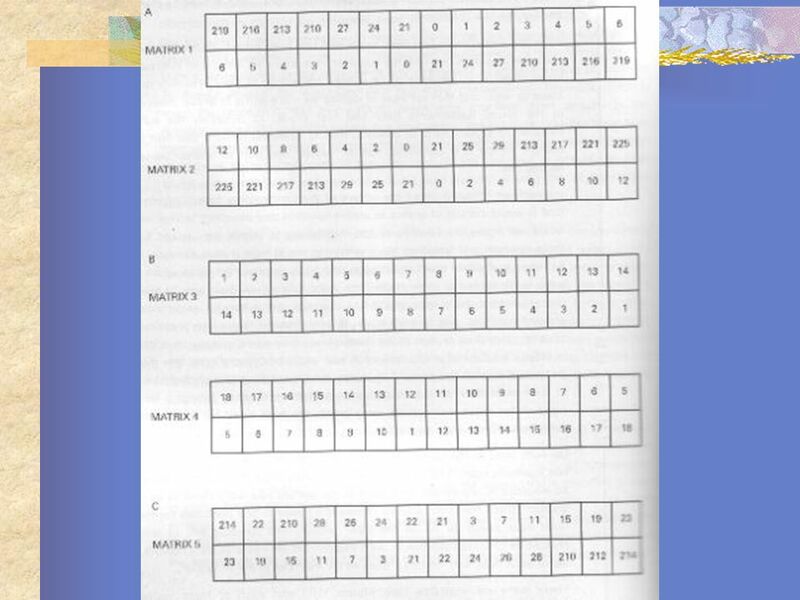  answer answer. 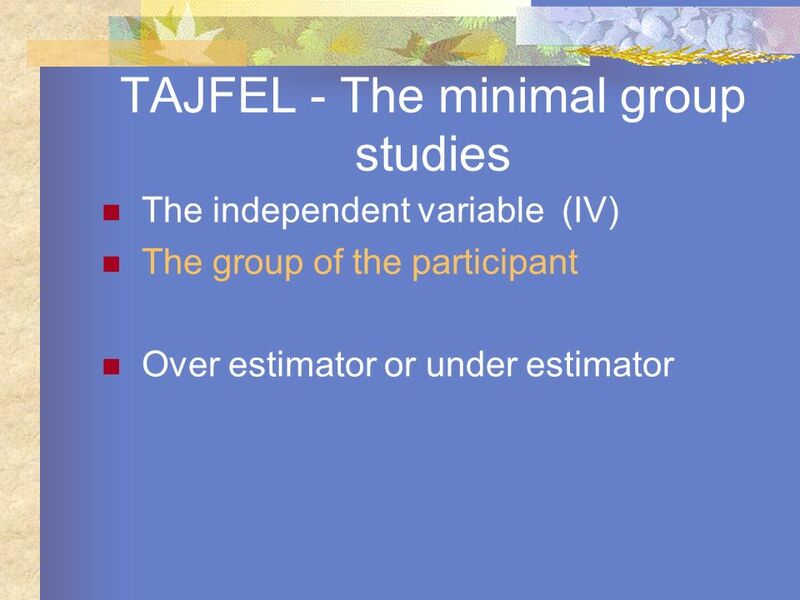 Ms. Carmelitano RESEARCH METHODS EXPERIMENTAL STUDIES. 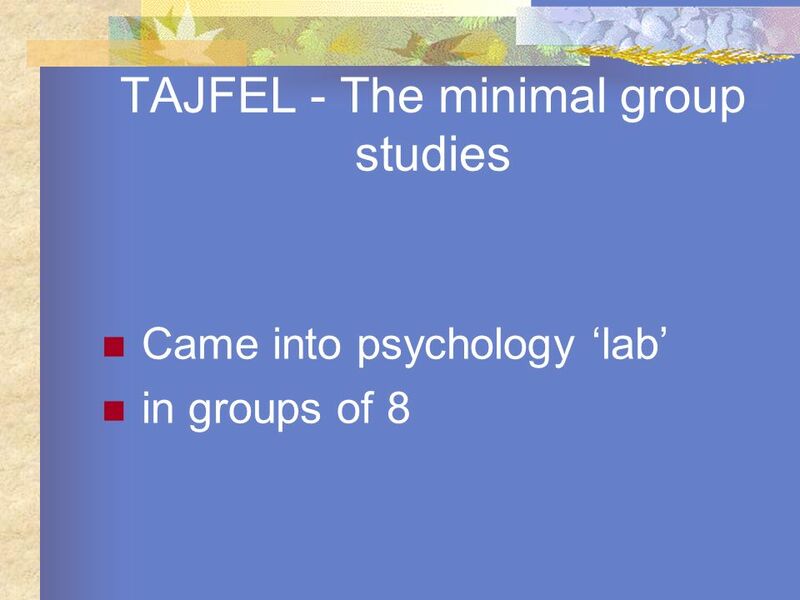 Wade and Tavris © 2005 Prentice Hall 10-1 Invitation To Psychology Carol Wade and Carol Tavris PowerPoint Presentation by H. Lynn Bradman Metropolitan. 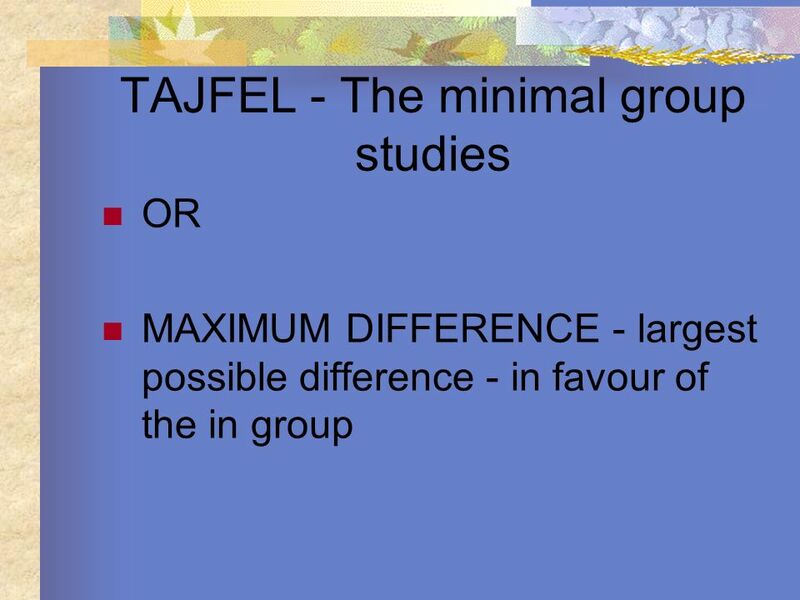 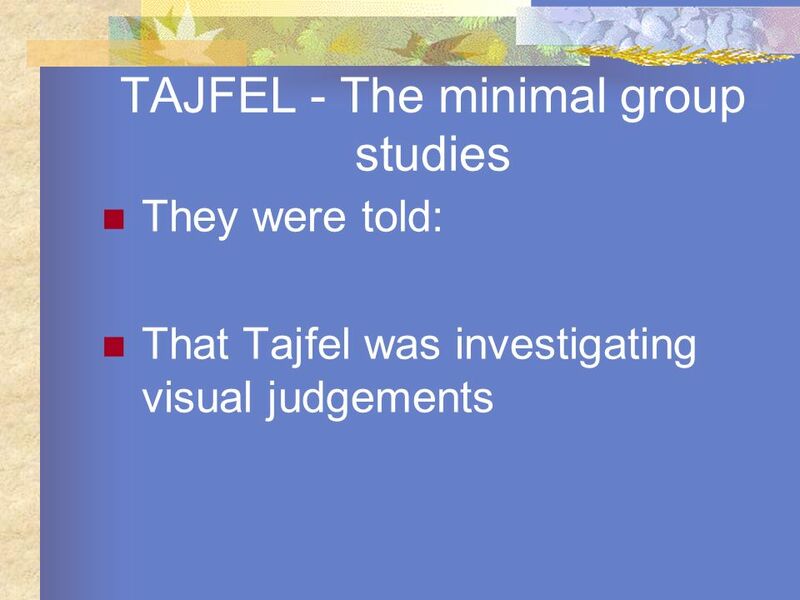 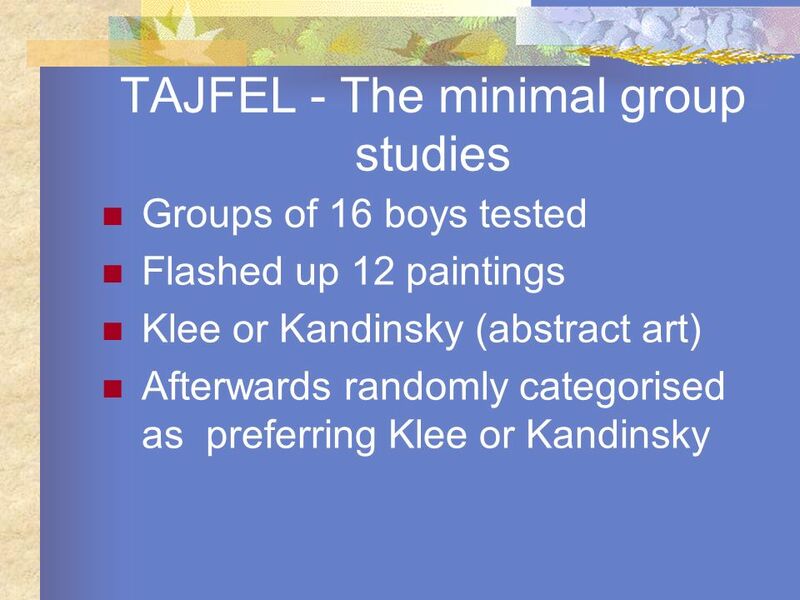 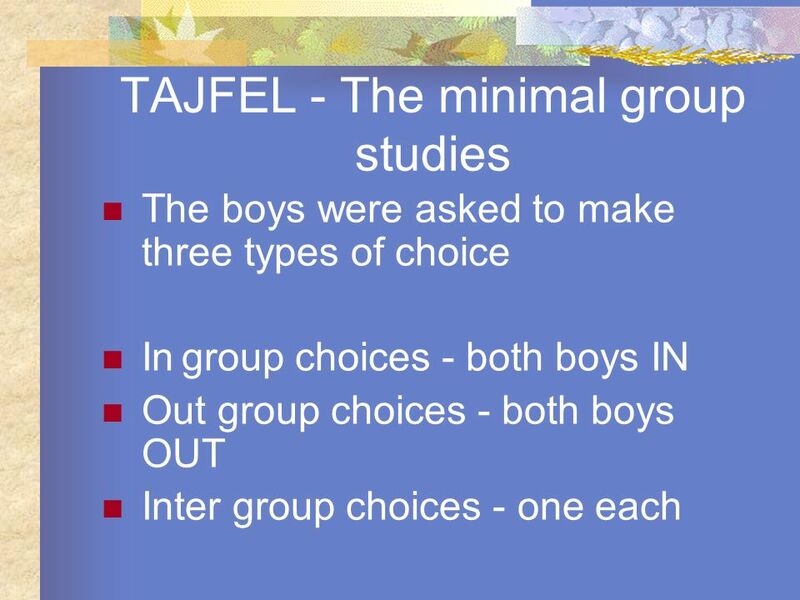 Experiments in inter-group discrimination Henri Tajfel (1970) Tajfel is perhaps best known for his minimal groups experiments. In these studies, test subjects.